During this season of Lent, we have been immersed in Nehemiah’s story of renovation – the renovation of the wall of Jerusalem that ultimately led to the people being brought home, and as we found last week, Nehemiah’s renovation made it possible for the renovation of the people so that they returned all the way back home to the heart of God. The story began with Nehemiah hearing a terrible word from home. The city was in shambles and the people were shamed. It was the time of the Babylonian exile, the darkest period in the life of Israel, second only, perhaps, to slavery in Egypt. The story told of how, when he heard that terrible news, Nehemiah had a breakdown, crying for days and days. Interestingly, the story only hinted at how they got there in the first place. Oh – they knew! - kind of like when you ask the dog “did you do this?” and the your beloved pet either slinks away or just won’t look at you. You know what I mean! Hear, O Israel: The Lord is our God, the Lord alone. You shall love the Lord your God with all your heart, and with all your soul, and with all your might. Keep these words that I am commanding you today in your heart. Recite them to your children and talk about them when you are at home and when you are away, when you lie down and when you rise. They forgot to put God first. Humans being what we are, that wasn’t the first time and it certainly wasn’t the last time that we forgot how to live God’s way. do you know what they did? They built tents – more like little huts, really – and moved into those little huts for a whole week. You see, they had also forgotten the festival from so long ago – the festival that reenacted their flight from Egypt to the Promised Land – the very festival that was intended to remind them that God saved them from the Pharoah. So, when they heard the old, old story they were filled with resolve to do whatever it took to be obedient, and they built those silly tents and lived in them. They were intent on being obedient. There was one who never lost sight of what it meant to be obedient to God. He walked in obedience all the way to the cross. This is Palm Sunday, the beginning of Jesus’ walk to the cross. He will walk into the temple, frustrated at the lack of respect shown for the earthly temple, angered by the actions of those who would turn sacred rituals into mercenary gain. He will walk to an upper room to model servanthood and to share a holy meal with those closest to him. He will walk to the garden, to pray and to weep. He will experience betrayal – not once but several times. And he will walk the hill of Calvary. to walk the way that Jesus walked. It’s easy to forget. It’s easy to get pulled away. Today I’m here to remind us all of what it feels like to be fresh and new. To feel the joy of God’s grace and love – to feel the satisfaction that obedience brings – the exuberance of the joy of the Lord. 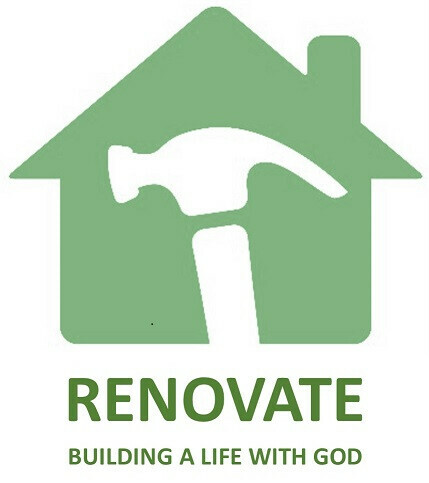 To feel the difference it makes when your spiritual renovation returns you to the heart of God. No matter how many times we forget, renovation is always possible.